Do you have work shirts that restrict your movement? You try to bend and stretch, but you end up pulling the fabric (maybe even tearing it), and perhaps the sleeves are too short. For a men's shirt that fits right AND protects you, wear an Ariat Men's 10013519 Flam ... (see full details) (see specifications) #ARW10013519. Do you have work shirts that restrict your movement? You try to bend and stretch, but you end up pulling the fabric (maybe even tearing it), and perhaps the sleeves are too short. For a men's shirt that fits right AND protects you, wear an Ariat Men's 10013519 Flame-Resistant Long-Sleeve Silver Fox Crew Shirt. This Ariat shirt features a durable 7.2-ounce jersey fabric that's flame-resistant. It'll protect you around potential flash fires and electrical arc flashes, as it meets both the NFPA 2112 and NFPA 70E standards for fire safety. The flame-resistant shirt also has a Hazard Risk Category (HRC) of 2 and an Arc Thermal Performance Value (ATPV) of 8.9. You can tell how much protection you're getting based on how high the ATPV is for a particular piece of men's workwear. Along with flame-resistance, you'll also get the reliability of Ariat's Moisture Movement Technology. This works hard to pull moisture away from your skin and toward the outer evaporation layer of the FR shirt. Your perspiration is able to evaporate a lot faster this way, and you'll stay dry and comfortable all day. For even more comfort, the long-sleeve shirt also has a Greater Arm Mobility design to provide you with a full range of motion. You'll have a great, comfortable fit that you can depend on for work and even when you're off the clock. Don't settle for men's workwear that hinders you more than it helps you. Order an Ariat Men's 10013519 Flame-Resistant Long-Sleeve FR Silver Fox Shirt from Working Person's Store today, and you'll soon have the flame-resistant protection and moisture-wicking properties you need. Artat is my go to FR shirts nowadays. Their FR shirts are the most comfortable I've worn, and they last quite a while. I'm not sold on their FR pants though, but this shirt is definitely the best FR t-shirt I've worn. 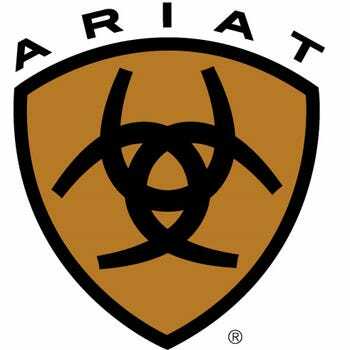 I will continue to buy Ariat shirts so long as my company pays for it, however if I had to pay out of pocket I would probably go with another brand. That's the only reason this shirt doesn't get 5 stars, it's too pricey. Definitely some of the best you'll wear though. I also like the Henley style which I'm starting to see more of in FR shirts. Good to see several more options now at WPS! I borrowed my husbands Henley one day because I had to work on the production floor and dang was it not what I was expecting. We wear the same size but the dang thing is not flattering for a lady at all. Not sure if they make these for women but I wouldn't buy it for me to wear at all. Material was good just the cut wasn't right. Ariat Shirts: Men's 10013519 Flame-Resistant Long-Sleeve Silver Fox Henley Shirt is being added to your cart.